Now that golf season is over, it’s time to gear up for the 2019 season! And that means gearing up your golf game as well as your golf tech game. We want to help equip you with some of golfs top GPS and rangefinder apps to help improve your game. After doing extensive research, let’s talk about the 4 best golfing apps, with the best reviews, that you can utilize in the upcoming season. Coming in at number 4: Golf Coach- this is an award-winning sports app that offers ground-breaking golf instruction. With Golf Coach, you will receive amazing video quality, a SwingAnalyser feature that helps with your hand path and rotation, a library of videos that display all of the fundamental techniques needed to build a solid round of golf with your buddies, strike fundamentals, balance and timing tips, chipping and putting tips and so much more. Each video is produced by Dr. Noel Rousseau, with a focus on teaching you how to be the best. After downloading, all videos are available with no streaming necessary.  Number 3 on our list: Golf GPS by SwingU- you may know this app by its former name, SwingxSwing. It is a free golf GPS rangefinder & scorecard app, with over four million users worldwide. After downloading, you will receive the GPS rangefinder that works with all courses, a digital scorecard that easily tracks your score and putts, free handicap after posting scores for three rounds, on-the-course gaming including stroke play and skins, daily feed of golf instruction tips from their team of top instructors, tee time booking with partner TeeOff by PGA Tour and Apple Watch integration that will allow score keeping, obtaining distances and tracking shots while using the app. Number 2 on our list: 18Birdies Golf GPS App- another award-winning app that is newer to the market. 18Birdies won the 2018 Golf Digest Editor’s Choice Award for “Best Swing and Game Analyzer.” Features include tee times, GPS and rangefinder, digital scorecard, stats and round history, shot tracking and history, Apple Watch integration, side games, quality gold content and information about local events and memberships. Two different levels of memberships are available, basic and premium. 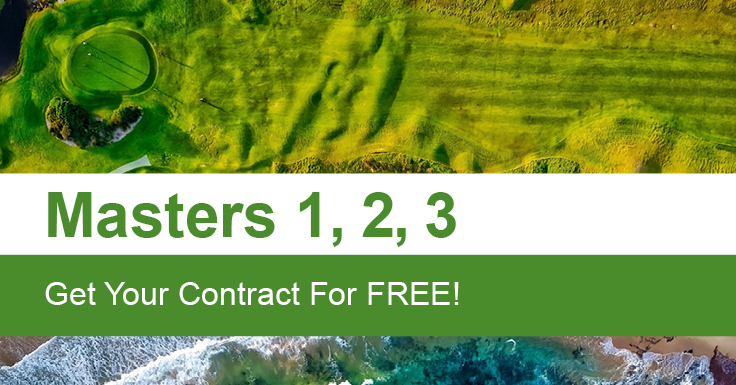 The premium membership offers caddy and club recommendations, an advanced GPS as well as advanced stats, partner discounts, premium lesson plans, strokes gained, live weather map, side games, group outings and 18Birdies discounts. 1. Golfshot- this app is essentially a professional caddy that you carry in your pocket. With information on over 40,000 golf courses, why wouldn’t you lean on this app to improve your golf game? 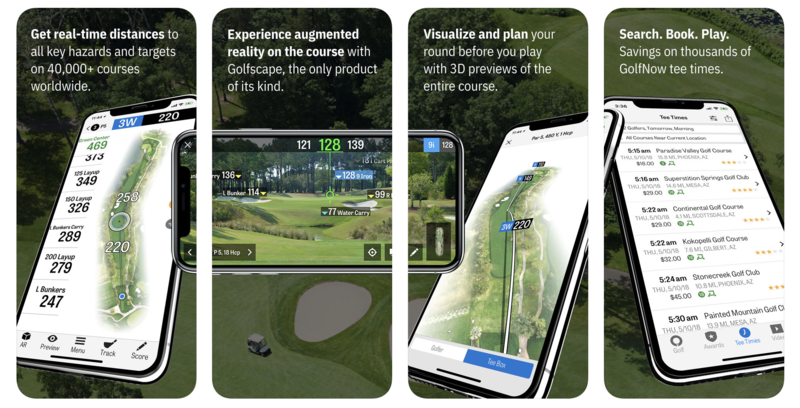 The main feature in Golfshot is the 3D video visualization of the entire course you select- making it the only app to offer augmented reality on the course. This feature allows you to track your shot distance, direction and the club that was used. Playing with this app will guide you to your best golf game, as it offers you world-class coaching at your fingertips by supplying instruction from GolfPlan. You can also book your next round with GolfNow tee times and track your Handicap Index using Apple Watch, HealthKit or Under Armour fitness systems that are all supported by Golfshot. Any of these apps are sure to help your golf game and make you more tech savvy both on and off the course. And you won’t be the only one using these on the course, our number one app pick, Golfshot, is comes highly recommended by over 8,000 users! So the next time you’re out on the course, staring down that hole in one shot for $1,000,000 or even just trying to show up your buddy, you’ll have a little extra help to get you there. Do you use any of these apps? Is there a better one we missed? Let us know in the comments section. *Images and app facts courtesy of itunes.com.